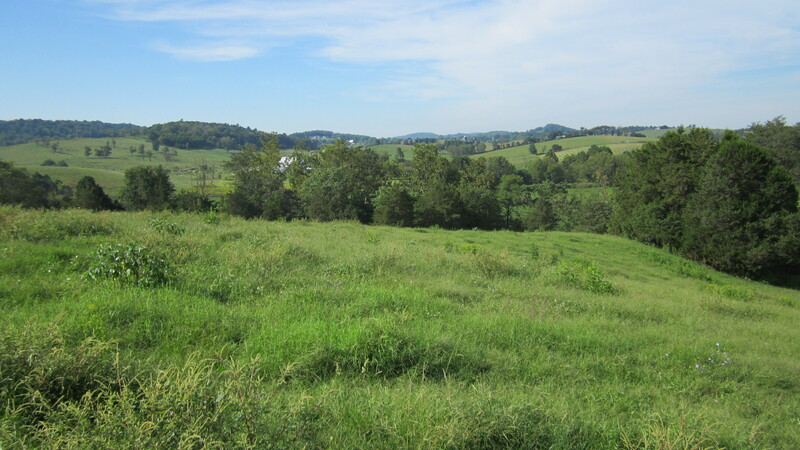 Bartholomew and Christina Johnson of Rockingham have made a significant contribution to water quality protection in the Smith Creek Watershed by donating an open-space easement on their farm to VOF. The 48 acres near Keezletown contain a large portion of the headwaters of Smith Creek. The easement requires existing stream buffers to be permanently maintained on the property. The buffers help to maintain the water quality by limiting development and livestock access, which can cause sedimentation and pollution. Smith Creek is one of three watersheds in the nation designated by the U.S. Department of Agriculture’s Natural Resources Conservation Service as a “Showcase Watershed.” The goal of the designation program is to produce measurable improvements in water quality within a specific geographical area. To do this, NRCS is working with state and local agencies to engage more than 90 percent of the farmers in these watersheds, giving them the technical and financial tools to enhance clean water practices on their farms. From 2010 to 2017 in the Smith Creek Watershed alone, the NRCS program helped farmers manage nutrients on more than 5,826 acres, plant 3,223 acres of cover crops, implement rotational grazing on 726 acres, and install over 26.1 miles of livestock fencing. To date, VOF has protected more than 1,300 acres in the Smith Creek watershed. The easement also prohibits division of the property — another protection important to Bart Johnson. Anita Angelone is an ex-academic finding a second life outdoors as VOF's communications associate.